Head down to The Galleria at Crystal Run located in Middletown, NY to get a a little taste of the Hercules obstacles that will be present for the Hercules Fitness Challenge Race (Adults & Kids) at Ring Homestead on May 26, 2018. Register now! "The Hercules Fitness Challenge is rapidly becoming one of Orange County's premier fitness events." The Hercules is a run followed by an obstacle course. Offering four categories of difficulty: beginner, intermediate, advanced and elite, the Hercules appeals to those new to obstacle course racing as well as the seasoned athlete. 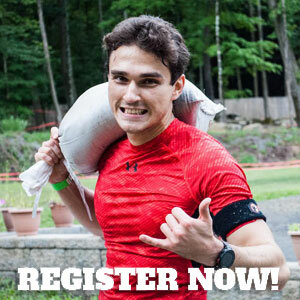 "Let The Wild Rumpus Start" Register your 4-6, 7-9 and 10-12 year old for our Hercules Kids Race. Apply the warpaint, make a sign and be ready to cheer for these young Herculeans. They will be wearing their finisher medal to school on Monday. Our instructors spent the summer working out the kinks from our Oct. 3, May 28 & Sept. 3 events. This year we have 28 total obstacles, with paintball debuting at our event - the first of its kind, ever! We have a Water Log Cross, Ninja Stair Climb, Hercules SeeSaw, Not-so-Enchanted Forest, and much more!